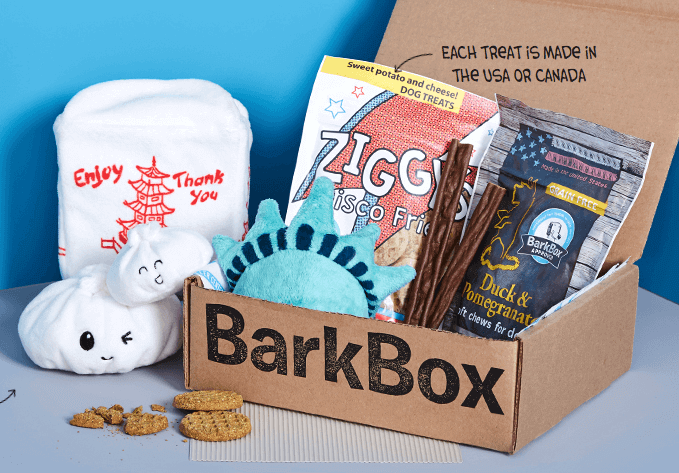 Subscription box businesses have taken the world by storm. 15% of all online shoppers have signed up for one or more subscription services in the past year, usually on a monthly basis. From clothing to makeup, and food to pet products, there is a huge variety of categories to help engage people with new products they may never have come across otherwise. But, how can you add constant value to a consumer’s life when their tastes constantly develop and change. What we were interested in two years ago will differ from our current interests as new trends influence our lives. Also, how are you able to rise above the noise that has been created as larger brands move into the subscription ecommerce industry, and what can your business do to bring continual value to loyal customers? The popularity of subscription-based businesses gained momentum with brands like Netflix that offered more choice to consumers on an on-demand basis. Being able to decide on what you watch and when, through your choice of device, gave power back to the consumer. Originally, Netflix offered customers the chance to order DVDs directly to their home, up to a set number per month. For a lot of people, Netflix was the Big Bad that put our favourite Friday night hot spot, Blockbusters, out of business. However, it seemed as though Netflix was actually just way ahead of the game in anticipating the changing consumer dynamic. Whilst we remember Blockbusters fondly now, we still appreciate the convenience of Netflix – so much so that it has become a huge part of contemporary pop culture. Subscription boxes may have had their way paved by Netflix’s business model, but they offer something entirely different to customers. In the online age of email and on-screen communication, getting something in the mail (that isn’t a bill) is a novelty. Couple that with a range of personally selected products that speak to our wants and needs and various lifestyles, and you have yourself a multibillion-dollar industry. Why do people choose to pay £15 a month for a collection of products they’ve never tried before? Well, that’s just it – they haven’t tried them before. As creatures of habit, we the consumer find the products we like and stick with them. We try things out now and again, but we would rather not spend money on something that may not replace our tried and tested favourite. With a monthly subscription box, customers are able to embrace new products without the permanence of spending money on that specific item. They gain value from the variety of products they receive, and excitement at the prospect of receiving them. 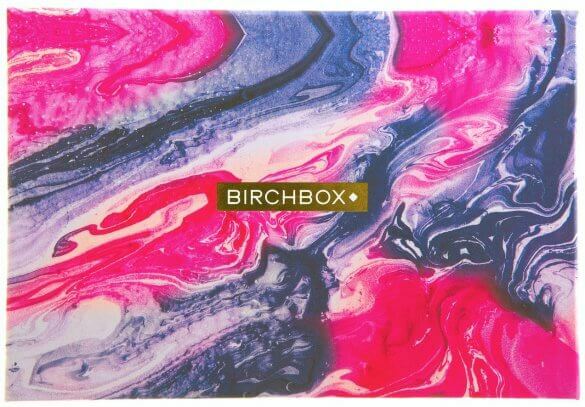 Birchbox is probably the most widely-known subscription box company in the UK, with over a million subscribers and over 800 brand partners. They offer beauty products from top brands in sample sizes, so customers can test them out. At £10 per month plus delivery charge, and just about half of subscribers going on to make a full-size purchase, it’s a successful model that has been echoed by numerous other companies. The model is so successful and so forward-thinking that a number of global, household name brands are embracing it themselves. Dollar Shave Club, one of the most popular subscription boxes in the world, has recently been bought out by Unilever in a billion-dollar deal. This demonstrates how the momentum of subscription start-ups has increased exponentially. A recent study from YouGov and Zuora reported that 9 out of 10 people in the UK would choose to subscribe to a box from their favourite high street stores of brands, rather than going in-store (or indeed online) and making a one-off purchase. There is a gap in the market to engage consumers who may have halted spending with them, or a chance to use data to promote products and lines that would specifically interest a person. When it comes to giving your customer value for money, it’s all about personalisation. You may have 1000 subscribers, but they want to believe they are getting something designed and tailored to their specific desires. This is where data comes in. Birchbox asks a customers a few questions as they subscribe to build what they call a Beauty Profile. From skin and hair type to overall style, consumers are defining the type of products they receive, ensuring they are relevant to themselves. Another great example of both personalisation and customer knowledge is Pink Parcel, aimed at women on their periods. When a customer signs up, they give the dates of their cycle, so their box arrives at the right time. Their Pink Parcel contains products aimed at relieving the stress of their ‘time of the month’, with sanitary products, chocolates, make up, speciality tea and skincare items. This innovative idea spotted an entire market that is monthly by nature and slotted themselves in as a helping hand for their demographic. With so much data available, even in the post-GDPR landscape, there is no excuse not to have some level of personalisation as part of your subscription model. Amazon’s Subscribe & Save model is a great example of how a massive brand can curate a box based on the reems of data it gathers as customers shop. This ‘replenishment subscription’ lends itself to busy lifestyles, replacing products that are bought most regularly at a discounted price. Moreover, consumers are ready and willing to answer these questions and give companies data because they know it will help them get the most from their subscription box in the long run. It may be tempting to jump on the bandwagon and start your own subscription service, but there are a few things to consider before you commit yourselves to a brand new ecommerce model. Does it suit your market? You may think that only certain markets can fully embrace the subscription model, but it seems like everyone is trying to take a slice of the pie. There are boxes like DoggieLawn, which delivers hydroponically-grown grass patches, so your inside dog can have the feeling of pooping as nature intended, or BattlBox, which aims to prepare us all for the zombie apocalypse with survival and tactical gear. Ok, so maybe your business isn’t quite so…niche! But even if it is, it’s worth thinking of where the demand lies. Is your AOV (average order value) relatively low? Perhaps you can entice customers with sample size products from other ranges, or you could reward loyal customers with an exclusive 3-month subscription to test its success. Either way, think hard about whether it will suit what your demographic wants from your brand. Do you have the initial capital to set this model up? Subscription start-ups are all over the place. They are relatively easy to set up; you just need the products, the packaging and the promotion. However, an existing business could see themselves alleviating funds from other areas of the business to support the new subscription model. You could find that, without the proper research and initial demand, the money you sink into it may not be earned back. Also, do you want to offer a standard box for all subscribers, or are you planning on tailoring them to customers by utilising data to segment your offering? If it’s the latter, then it may cost you that much more to create. Do you have the time/staff to run it? You need dedication to subscription models. Not only will you have to answer queries and questions quickly, but you will have to allocate time and funds to reaching more potential subscribers, dealing with brand partners, and the general upkeep of a model that will run relatively separately from the rest of your business. Or, perhaps you are a new business looking to throw yourself into the subscription ecommerce industry. Although it is a saturated one, it is still successful and, provided you are working with in-demand partners like Birchbox or filling a gap in the market like Pink Parcel, you will be able to locate and serve your target audience. The subscription box industry is ever-growing. The market is now full of companies that work only with subscription models as well as huge brands adding it to their canon. Whichever market your business lives in, you can find subscription success – as long as you know your business, your audience, and how a subscription model can help you reach your over-arching business goals.